that new familiar is awesome!! [color=#006ab8]Everything is awesome! ~ One of my favorite festivals every year ^^ Love the apparel and familiar; so cute! 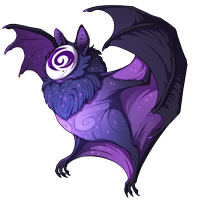 ~ ♥ [img]http://www1.flightrising.com/static/cms/familiar/art/25951.png[/img] However, it is a bit silly to pick a breed that does not show off the apparel in the banner. However, it is a bit silly to pick a breed that does not show off the apparel in the banner. I don't know how events work but I'll still have fun!